An exciting victory for animals has been scored! 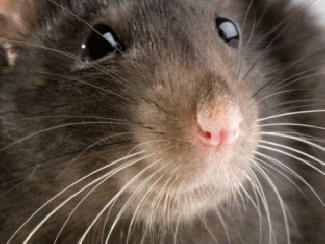 Thanks in large part to your e-mails, letters, and phone calls, the University of California-Irvine has announced that it has replaced the use of rats in cruel classroom neuroscience experiments with sophisticated computer simulations. During these experiments at the University of California-Irvine, undergraduate students drilled holes into rats' skulls and damaged their brains with chemicals. The rats were killed when the experiments concluded. A PETA complaint prompted a review of the experiment, and the non-animal methods we proposed will now be used instead of animals. Because of this victory, as many as 200 rats per year will be saved from suffering in these classroom experiments.